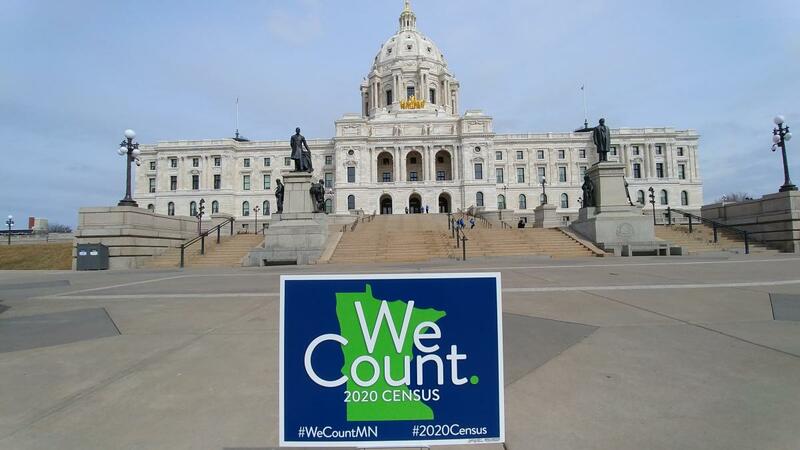 Call on the Minnesota House to make a full investment to ensure a fully-inclusive and accurate census count in Minnesota in 2020. Last week we came together (Pioneer Press) to call on Minnesotans to step up and get going because we only have one year before Census Day -- April 1, 2020. In its budget plan released on Sunday, April 7, the House State Government Finance Committee's leadership didn't quite step up to the task. Rather than commiting to a state investment of $2.5 million, the committee's leadership is only proposing to spend $1.6 million. It’s important to make census funding a top priority. We don’t get a do-over. Census Day is April 1, 2020 and we need to make our best effort to count every Minnesotan – now! Act alone. Do what you can do. Mobilize a network – big or small, by phone, email or social media. Call the House DFL leaders who have the most to say about whether Minnesota makes a full, $2.5 million dollar investment in the census. Old style phone calls will have the most impact. Place the call. Tell the person who takes your call why the census is important to you. Let them know you hope the House will see a path to funding the full $2.5 million requested to prepare Minnesota for the 2020 Census. The $1.6 million proposed in the House State Government Finance omnibus bill and by the Governor are a good start, but not enough. It will take 11 votes on the 20 member State Government Finance Committee to amend the budget proposal from $1.6 million to $2.5 million. Phone calls or emails are fine. Tell them why the census is important to you. If they are a census bill co-author, thank them for their leadership. Let them know you hope the House State Government Finance Committee will see a path to funding the full $2.5 million requested to prepare Minnesota for the 2020 Census. The $1.6 million proposed is a good start, but it’s not enough, and we don’t get a do-over on census funding. We need to make our best effort – now. If you can attend the hearing on Monday, April 8 from 12:00 to 2:30 pm when the House State Government Finance Committee will introduce and take testimony on it’s omnibus bill – contact Bob Tracy or 651.3291794 (cell/text) ASAP. Always contact your own State Senator and State Representative, or one or two others who you may know. Who Represents Me?